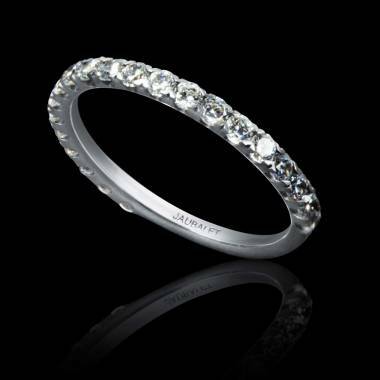 What is your platinum wedding band for women made of? 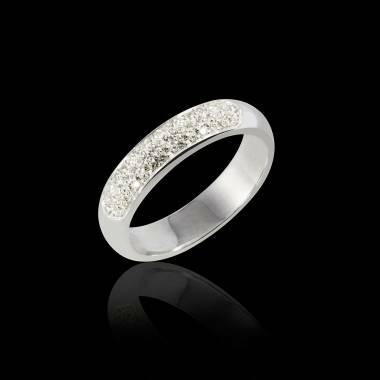 Although platinum appeared on the earth around 2 billion years ago, it had long been little known by the general public. It was not until the XVI century that it was discovered by the conquistadors who called it “platina” which means little silver in Spanish. Its properties, namely rarity, beauty, and resistance, just as the action of the kings and the scientists of the enlightenment that would make it so platinum would become more and more popular. 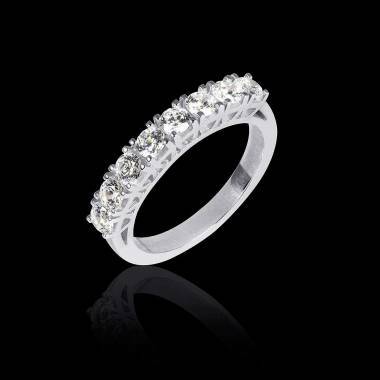 Like the majority of metals used in jewellery, platinum is an alloy. In other words, it is mixed with other elements to make the piece more solid. 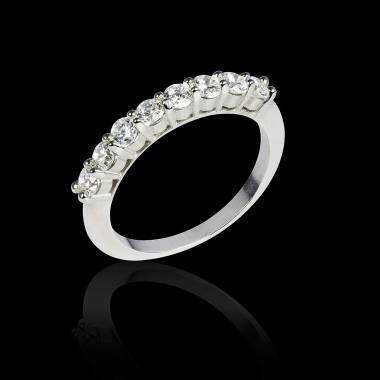 For your pieces of jewellery, and therefore your platinum wedding band for women. 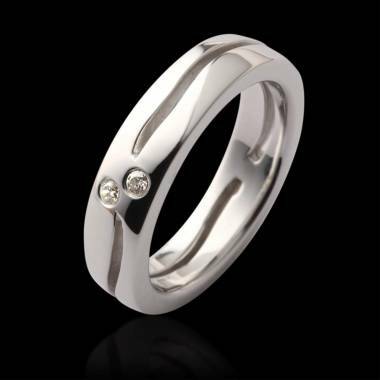 Also, you will find generally 95% of pure platinum mixed with 5% of idridium, of palladium or of ruthenium. These pieces of jewellery are marked "950" Plat or "Plat". This is an indication of their high quality. 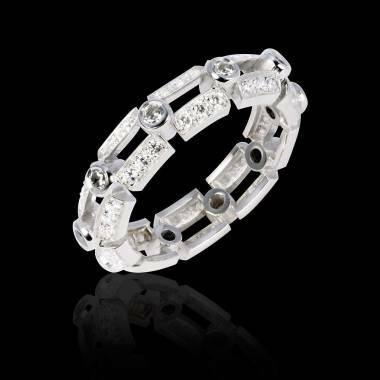 Did you know that platinum is purer and rare than gold? 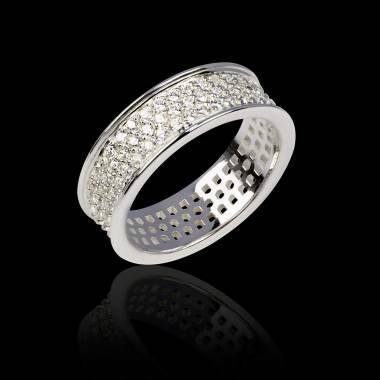 This precious metal that was brought into the limelight through Priscilla and Elvis Presley’s marriage is slowly returning to fashion. 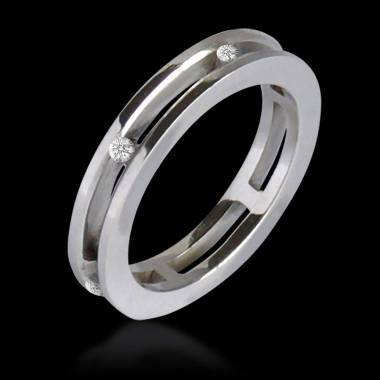 It’s durability and timelessness make it worthy of symbolizing a loving union. 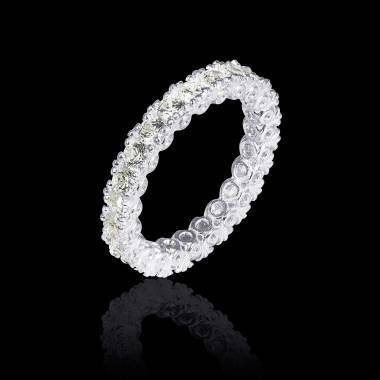 Jewellers let themselves be just as seduced by this smooth, white, and brilliant metal. 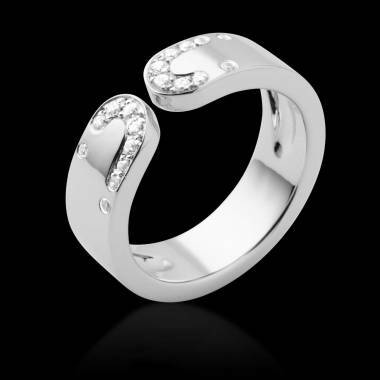 What is the difference between platinum and white gold? 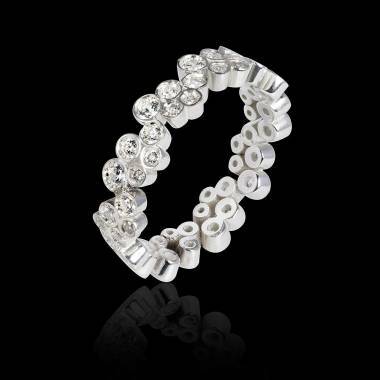 The whiteness of platinum never fades whereas the rhodium of the white gold fades with time. 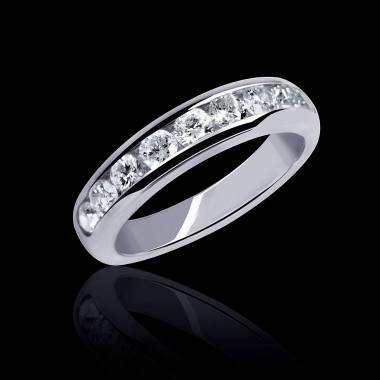 The Platinum is therefore very durable, more durable than gold. It tolerates extreme temperatures without a problem. 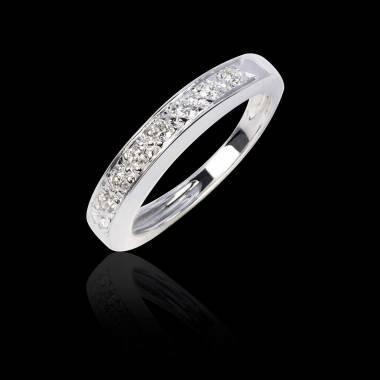 For those who love white and its symbol of purity, innocence, peace and virginity for the wedding, there is nothing better than a platinum wedding band for women. This metal is intrinsically white. 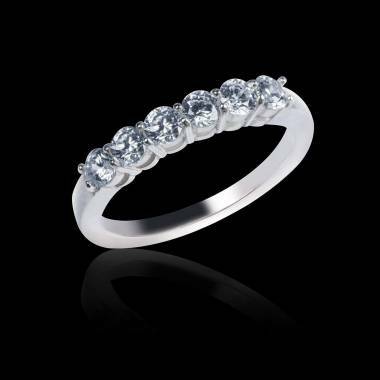 A Platinum Wedding Band for women symbolises endurance in the challenge and longevity of love. 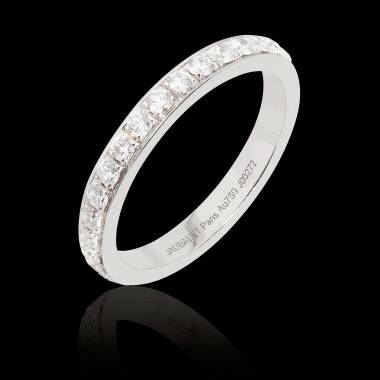 The Platinum Wedding Band for Women is great to celebrate 70 long years of marriage. 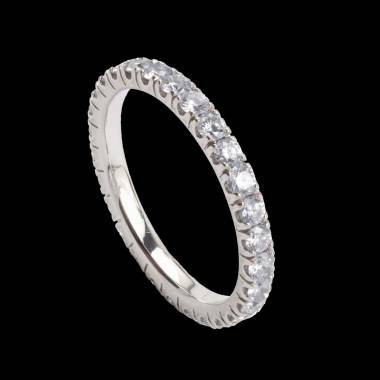 Discover our models of Platinum Wedding bands for Women to inspire your personalised or customised creations.